As technology continues to develop and everything we mostly do is online, we are vulnerable to information exposure and hacking if we are not careful. 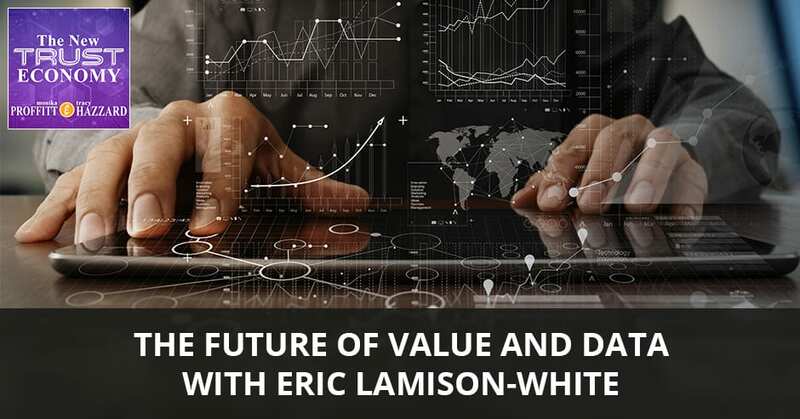 Eric Lamison-White, the co-founder of Pareto Network – a financial intel marketplace for traders and investors – talks about the valuation of information and future of value and data. Eric was introduced to crypto in 2011. He is a frequent contributor in the blockchain space as an author and writer of multiple articles. In this episode, he goes deep into the subject of crypto – its volatility, derivatives, and focus – as well as what his work with Pareto Network is all about. I’m here with Eric Lamison-White, the Co-Founder of the Pareto Network and the inventor of the patent in Stablecoins, which took four years to get through the USPTO. He is a frequent contributor in the blockchain space as an author and writer of multiple articles. Thank you so much, Eric, for joining us. Where are you joining us from? Are you based on the West Coast? I’m here for a few years. I was in Manhattan before that. Has it been a big shift? I feel like I go out to San Francisco and it’s a big city, but it doesn’t feel anything like what I’m used to. Was it hard to get used to? It’s a different place, a very big country. Have you spent much time in the flyover states? I did make it out to Austin for South by Southwest. I was hoping to meet up with more and more people from the crypto and blockchain space, but I got stuck. There were a lot of blockchains, but it felt like there was so much programming at South by Southwest. Did you get overwhelmed as well? Value And Data: 3% of the population uses crypto at this point. How many days were you out there for it? I was there for four days. It was a good amount of time. I was there for eight. It was way too much. I was born in Austin. I ended up seeing a lot of family, friends of family and it was a lot. By the time the music part started and the tech part ended, I was like, “I don’t even want to see a show. I want to go take a long nap.” How long have you been doing this back and forth working in tech? What’s your long term? How long have you been in this crazy world, not just blockchain but tech in general? My whole career has been in tech. I was professionally, maybe a few years. It’s the same with finance. The crypto aspect of that has been a piece that’s gotten bigger and bigger, but it’s been there for a few years as well. At this point, it’s all one and the same. When did crypto come onto the scene for you? How did you first get introduced? Do you even remember the moment that you first got introduced to crypto itself? “How can I make it work better? Where can I apply it? How can I get in?” Did you study tech and finance or was this something that you fell into because of what they say, “Necessity is the mother of all invention?” Was it a necessity-based thing or did you always have an interest? Between what you happened to mention, which sounds like newfangled, I don’t even know what. You said the word money license. First of all, I want to know, what is that? Is there a licensing to money that is directly tied to how resources and money is distributed or accessible? It is more of the money service licenses. It is down at a state by state level. At the time this consulting firm found out they needed, I believe it was like a $20 million bond and all we wanted to do was put a QR code in a mobile. That would’ve covered maybe one state. Even the banks, when they figured out what we were doing, they were cutting out all the accounts laterally. This had nothing to do with cryptos. This was the barriers of entry. Crypto circumvents a lot of that. Even though there’s a little bit of the same friction, you can openly transact. That’s pretty hard because as an entrepreneur myself, when I had spent my time pushing this one stone up this one hill and then I find out there’s no hill. The stones rolling around over there. It can be hard to let go of the fight that you thought was the good fight and to incorporate the new. Was that a big shift for you to start thinking, “I’m going to look at the potential of crypto versus continue working within the existing monetary system?” After the FDIC and everything else, it sounds like you’re pretty entrenched in fiat. It wasn’t a big shift for me. It comes down to being exposed to a fundamental abstraction of what value is and what different market participants actually desire. It pretty much had nothing to do with fiat or state-controlled money because that was a proxy. When you made that shift, I can see how you look at one system being very lockdown, expensive, top heavy, difficult, regulated and centralized. The other one being very open source, very agile and functional. The user base was so different. What is the global user base of crypto? It’s like 3% of the population uses crypto at this point. It’s small. Did you find that contraction of total market influence? Was there any drawback to you in that? I didn’t do anything in the crypto space for a good five years. I researched for two years and eventually I was maybe on a place, where I was like, “I have the right risk profile to consider wiring money to a sketchy exchange in Japan.” That was a lot of fun in seeing from researching I was watching. It was like a fraction of a fraction of a percent at that point in time. I was like, “This is a good bet for me.” Actually, launching a business or a project publicly, it would have been 2016. The size is perfect for that and 2017 was great. We’re fast forwarding to 2016, but I know that you did file a patent. You didn’t get it. There was a huge gap there. 2016 lands right in the middle of this gap. It sounds like between 2014 and 2018 you were in this long process. Tell me about the patenting process. What did you get patented? The only real exposure I have to something that is IP that is algorithmically-based, that creates stability in a cryptocurrency is Basis coin. They algorithmically adjust the supply and demand constantly to whatever the flow is of it. However, many people have bought it, they adjust the supply. It always stays within a fraction of a penny or within the same value. Is that something similar to what your patent is? Can you explain your patent a little more? My patent is really based around Delta hedging, using derivatives to counter balance the value of your portfolio. If you own Bitcoin and it’s going up and down all the time, the derivatives always have gains or losses that keep your account value the same. That by itself isn’t the innovation. The innovation is that because the underlying assets, Bitcoin and all cryptos are infinitely divisible, the derivatives can be infinitely divisible. For example, you have futures contracts that accomplish the same thing for pretty cheaper options contracts. The way these have been rolled out that they only benefit wealthier people. The investment banks can own these gigantic futures contracts that might cost a minimum of $4,000 up to $80,000. 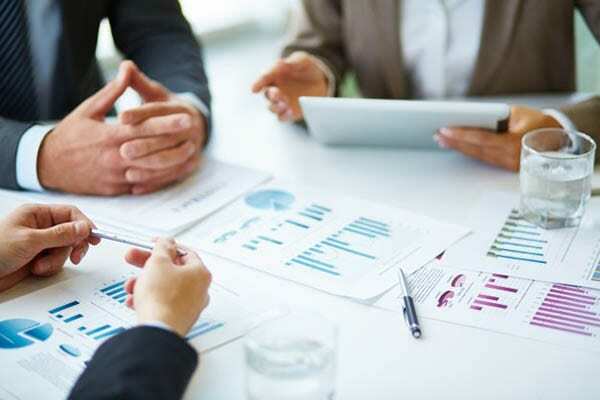 You need to have a portfolio worth hedging to get the benefits of that. With the underlying asset being divisible down to fractions of a penny and more, the futures contract in this example could also be worth a fraction of a penny. Moving this capability or exemption from volatility all the way down to consumers in a non-speculative of way, the consumer itself can get these benefits. Do you have any analogy for that when you explain this to people? This is like a super simplistic way, but when you say making this more accessible all the way down the consumer. You can take these same rewards and make them accessible because of this infinite divisibility. It’s a matter of taking these down to the level at which people can afford it without giving them the same upfront costs, like $20 million to be operating. It’s ridiculous but you’re definitely on that path. I work in real estate securitization. We’re looking at a transaction fee-based model so that no matter how much or how little you are investing, it’s not like Etrade, where it’s always going to be a flat $4 or $10 to enter that market and buy a stock or buy security. You can push that down so that everything is relational. That person with more money can always afford and the person without so much money, it’s never going to be able to play in. Value And Data: All the large decision-makers and banks go through the mental hoops that everyone else has to go to. That’s probably the best way to describe it. It expands the market. It makes it more egalitarian, which think a lot of different parties want that goal. The patent itself is pretty dry material. The patents it was inspired by are very technical. You can’t say what is, you can say what it does. That’s pretty much what it is. Anybody looking for a twenty-year monopoly and crypto derivatives, I’ve got something they might be interested in. Without saying what it is, can you tell me how? If I’m interested in a twenty-year monopoly and derivatives, which let’s say I may or may not be interested in that. Can you tell me, how would you convert me into a buyer? What do you have to say to me as a customer if I’m interested in this and I have a small amount of money to invest? You would be an investment bank that’s already considering a portfolio of blockchain related patents or has already patented things in the derivative space or do things like that. They would already get what this is about. You look at Bank of America, they had this expanding portfolio. I think they have some pretty complimentary patents, but a lot of their stuff is focused on the Fiat side and having limited ledger. It’s a perspective. Pure decentralized crypto first approach, on-chain off-chain or a mixture of the two. It would be the licensed institutions that could actually roll this product out. When you talk about licensed institutions, institutions that may be working and operating or interest in operating outside of fiat, do you see any play? Does it mean anything to you in your space that JPMorgan has been discussing this coin? They’re becoming much more focused in the crypto space. Does that have any bearing on what you’re up to? It does. It is good that people independently get closer to understanding what’s going on. It’s a process. Pretty much any corporation cannot honestly consider disintermediating everything because that disintermediates their revenue models as well, if you’re extracting value from inefficiencies. It’s fascinating watching all the large decision-makers and banks go through the mental hoops that everyone else has to go to. It takes them a little while to look at something as a market worth extracting value from. They miss it. They laugh at it. They’re adopting these half-baked solutions and there’s a lot of consultants billing hourly. Then they’ll say, “This was probably not the best idea.” Let’s go straight on-chain to the chain that everyone else is using. Let’s pivot a little bit because you mentioned a couple of things. One, you are the Co-Founder and also the CEO of the Pareto Network or just co-founder? We have loose executive and leadership roles. It functions more like a trust or foundation. We do maintain this horizontal hierarchy while propelling a protocol. You’re propelling a protocol as a foundation. Tell me about this. How do you function as a foundation with the goodwill and the intent of a foundation, while propelling a protocol? What is that about? The foundation is not aligned to necessarily make revenues. One of the entities, the main entity-building the infrastructure doesn’t have a goal of making revenue. I did a token sale and it expands the market for this protocol. That’s pretty much it. We also have special purpose vehicles that do extract value from the infrastructure we make. What are these special purpose vehicles? To the average consumer, what does this mean to the person that goes to Pareto Network’s website? What are they going to get? What do you offer? Let’s talk about the Pareto Network. It is a financial intel marketplace for traders and investors. If you have information, you can disclose it and make money. At the same time, our protocol allows for the members of Pareto Network to understand why the information’s subjective. Then the key part is all of the compensation, all the value of information is determined by the market. Other systems don’t have that feature even our actual most similar system has called an Alpha capture system, which some investment banks use. What does Alpha capture system that works similarly? Marshall Wace’s system is called MW TOPS. They’re probably the first Alpha capture system. The idea of an Alpha capture system is to make more money than holding a benchmark. If you want it to be a very passive investor, you buy the S&P 500 index and leave it. If you want to brag about your Alpha, you would be investing in all these other things and comparing that to how much you would have made by doing nothing and holding the S&P 500. Alpha capture systems try to amplify the trades you can find and make. That’s what we’ve built with some additional privacy, anonymity, end-to-end encryption and some other key aspects that expand where those information sources can come from. How does that information source expand? Through people being more anonymous, they can actually be divulging more? How does that work? That’s one aspect. The system itself requires anonymity, not only for the information, but for how fair the information is distributed. The people that host the Pareto network don’t know what’s in their servers. They don’t know what information is in their servers because they are market participants in this system too. The anonymity and the encryption are so that the hosts can’t undermine the game. For society’s sake, this does also have the effect of making information or allowing people to disclose things they wouldn’t have otherwise disclosed. It makes insider trading not inside. It lets insider trading be something that is not available inside anymore, is that what it does? The system can do that. The system itself is largely agnostic to the asset class. I can think of six capital market that deals with securities being one of those and then some circumstances in the securities market may involve insider trading. It’s a small segment and if there were any barriers for them, they’re gone now. Even in other places, even with software vulnerabilities, you have a lot of misalignments in how very knowledgeable computer programmers and hackers are existing. As a programmer, I feel there’s a balance where most programmers aren’t hacking everybody, but if they weren’t compensated as they were, they weren’t so distracted like they would. Occasionally, you see all these massive breaches because these problems were always there. There is a burgeoning scene about how to get companies to pay for these breaches. You find the breach, but you don’t actually. You turn it into an economic model rather than a weaponizing model. Right now, the companies are disjointed in how they do it. They don’t get the concept of, “Hack us.” It’s a big mess. They have an idea of responsible disclosure, but software engineers aren’t aligned to do it. Even with Google and Apple’s giant bug bounties, you’re talking about $10,000. You spend a lot of time. Then you have to argue with the company, “Please don’t sue me,” when you could have made a few million dollars. The Pareto Network gauges he incentives and we let the market decide the value of that exploit. Value And Data: The system itself requires anonymity, not only for the information but for how fair the information is distributed. In the same way that somebody who has violent tendencies, they’ve exposed that there’s a fissure in the community that needs to be addressed because that wouldn’t be behavior that is truly synergistic of our species. It’s not working. Rather than to jettison and often say, “It must be corrected,” to say, “I’m so glad you brought that to the group. We need to actually correct this internally.” We want to create an economy around this so that we can incentivize people to go ahead and explore that if you want to. If you expose that we have a weakness, we’re going to all benefit from it. In the way that you’re shifting the market around that, to make that actually monetized and giving more people to have a voice in what the value is of that, you are beginning to inch us towards a non-punitive direction. Towards a more of a collaborative discussion around our weaknesses, whether it’s around an organization, technology or even our society’s weaknesses. Also, we look at what these exploits are. These are problems that should’ve been solved. It’s much like a violent crime, a problem that should have been solved a long time ago. That’s a good analogy. These hackers, they’re catalysts to solving a problem that another hacker was going to find or somebody else going to exploit. Before Pareto, the newfangled market incentives, the bug bounties, they’ve been inching upwards in value over time but the problems in how these are valued are very unilateral. If you look into the life of a bug bounty researcher, their life is to do all this strange esoteric stuff to find an exploit. You have all the big Fortune 500 companies, everybody and then hope they pay you. I can tell you one on Facebook messenger, you can look at any attachment, any picture that someone ads and get the URL of that. You can change aspects of the URL under a pattern to find attachments anyone has posted. This was always like this. A researcher found this and said, “This is a privacy issue.” Facebook said, “No, it’s a future. We’re not going to pay you anything.” I don’t know if it’s there. I don’t know if this was the most accurate description of this particular exploit or feature. The market itself might have a different value for that. This researcher didn’t necessarily want to actually exploit or try to see what easy things they could find. They could probably find public company details shared over Facebook Messenger that were private, but instead they can disclose this to the network. White hat or black hat, they don’t seem to be looking at it and wanting to address it. They can get monetized. It’s a liability. First, they can get money from it without weaponizing something. The liability has completely shifted. They got paid for information. They can do whatever they want. They can be white hat, black hat. They can be a person that likes to collect. If you’re smart enough to know to do it, then you do it and you’re contributing with it no matter what. It can align the incentives better and get the security holes patched. The market’s going to be more efficient. That’s incredible. It looks like you have been doing some forward-thinking stuff for a long time. You’re way ahead of the curve on this. There’s a lot of like-minded people out here. I need to be closer to the protocols. It was an interesting way that you phrased it. You said you are a pioneer, activist investor in projects. What do you mean by that? It seems like it’s along the same line as this incredible futurism that you’re not only doing in fintech but in social tech. I did an activist investing in crypto projects. Those are inspired by activist investors and corporate raiders like Carl Icahn or Warren Buffett before he became the conservative investment guru guy. Basically, these guys went into undervalued companies, changed management and changed how the company functions. In crypto it was great. It’s been great because there is no company you need to change management and all the projects are open source. What I saw was a lot of people wanting to understand that decentralized, libertarian dream or something. Nobody was doing anything. When I saw an undervalued crypto project, there’s a token or coin trading on exchanges or in the market at a lower price and I think it should, then I could come in offer a new vision. I’ve already bought like a lot of the coin before I do this. Also hire some software engineers to make things useful to the market. One of my very first public projects was doing this in 2016 in a coin that’s very similar to Monero. It’s a very obscure coin. I did this and made a great profit and I had been riding off the coattails of that. Are you able to disclose what that coin was? The Boolberry Project is a cousin of Monero. They have the same common ancestor but forked off very early. I was there maybe for a good six months or so and before the community itself ended up taking that further. I saw that in other coins too. You have to remember this other privacy coin called Verge was originally called DogecoinDark. People can always kind of flip the script and make these things takeoff but everything’s the same. Do you have anything else that you want to make sure we talk about? It looks like you’re very active on media, a little bit on Quora. You’ve put a lot of content out. Anything you’d like to make sure we touch on before we go? A lot of times I’m here to inspire. A lot of my writings are trying to push the market in a little bit towards how I perceive things, at least some of my perspectives have been very forward-leading. Other people independently come to the same conclusions later on. That’s pretty much what my writings are about on media and Quora. Definitely pay attention to what we’re doing in the Pareto Network. As this gets more advanced, this changes how information is going to be distributed and make its way to the market. I love the way that you’re affecting the crowdsource essentially, the valuation of Information. Hopefully, we can have a less weaponized world even as we discover faults in one another and in the organizations around us. Thank you so much, Eric. I appreciate you taking the time. It’s been an absolute pleasure to talk with you. Thank you. This has been great. We’ll catch you next time. Thanks. 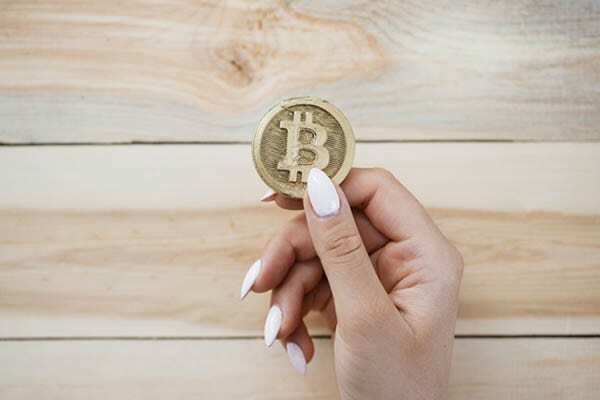 Named Top Crypto Influencer for 2019. CEO @ParetoNetwork. Stablecoin patent holder. Writer at Block Telegraph. Speaker. 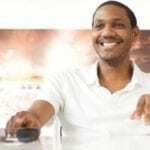 As seen in TheStreet, INC, Entrepreneur. The Pareto Network is a peer-to-peer information platform that rewards users for reliable crypto intel.